*Are John & Nikki back together? With no RAW Post Show this past Monday, we will give our highs & lows from this past Monday’s Episode of WWE Monday Night RAW. 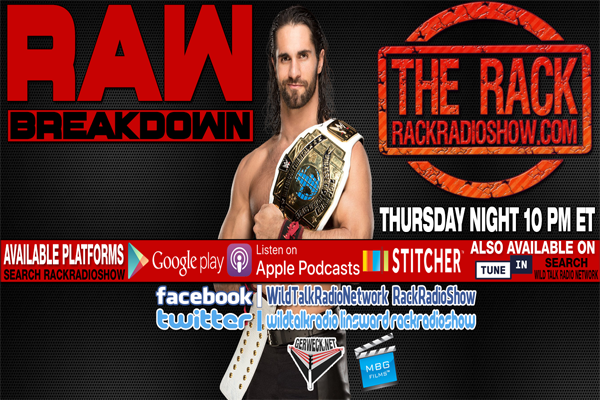 We will also have the Smackdown Throwdown & the NXT Rundown, giving you our thoughts on both shows from this past week. Check it all out on this week’s edition of The Rack Presented by Gerweck.net & “MBG Films”. © 2019 The Rack Radio Show. All Rights Reserved.